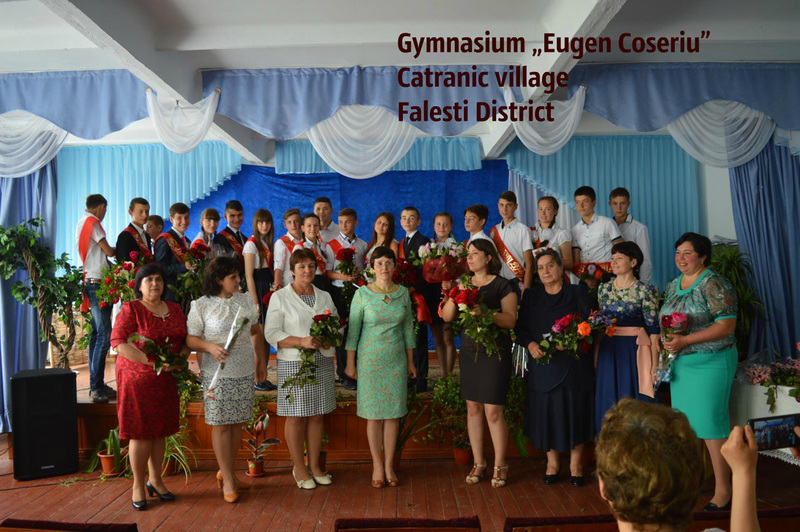 Our school is located in a beautiful town in the North of Moldova, having a lot of traditions and at the same time opened to new experiences, both for teachers, and our students. The school comprises three stages of studies: primary classes (686 students), gymnasium classes (705 students), and lyceum classes (272 students), a total number of 1663 students. Students learning in our school are always engaged in a lot of extracurricular activities, and manage to combine them successfully with the learning process and achieve great results. We collaborate with Sports Lyceum, “Spiru Haret” High School (Piatra Neamt), and National College from Botosani, Romania in order to build a strong partnership for a better development of the educational system in both countries. The constant work of our teaching staff and the effort of the students made it possible for our school to take part in a series of educational projects like in the USAID “Robo Club”, in the PASCO SPARK Classroom Project that brought digital Physics laboratory in our school, and also the Ecological project “Winning by Recycling”, that helped our students promote the protection of the environment through efficient waste management and recycling. Our main focus is to give our students an efficient and thorough education by exploiting the highest points of their potential, and ensuring their further integration in the society alongside with developing their creative thinking. ​Calarasi is a little town situated at a distance of 50 km from the capital of our Republic, Chisinau, into the heart of Codrii (Moldavian forests). 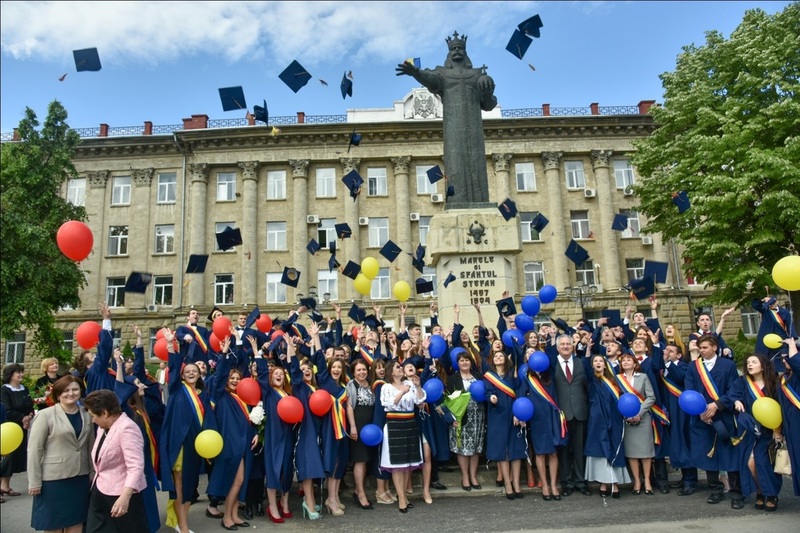 The mission of our Institution: the improvement of the educational activity of the lyceum through the implementation of the most modern educational techniques for the training and development of the student’s personality and his harmonious integration in social life. 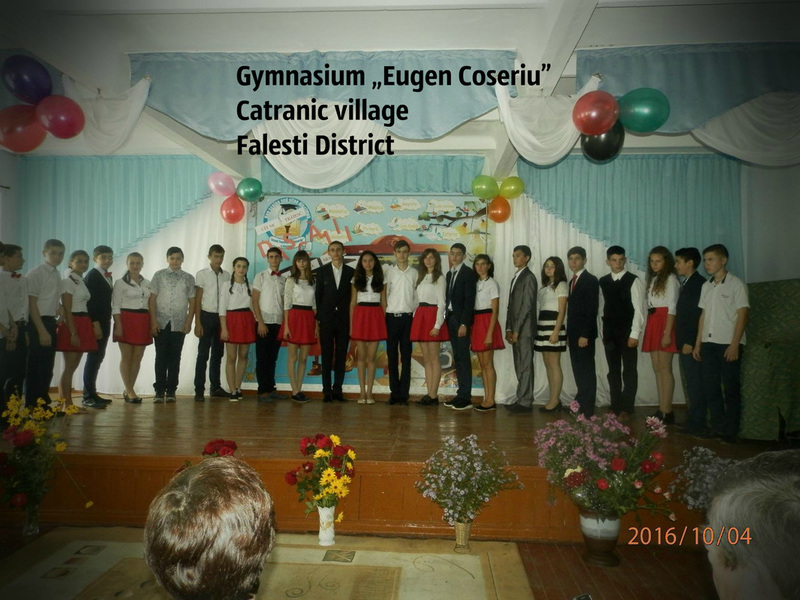 Our gymnasium is named after a world famous philologist - Eugen Coşeriu- whose name is a title for the entire Romanian nation. Currently working here teaching staff consists of 17 teachers all qualified, most finished higher education and own teaching degrees I and II, so all subjects are taught by specialists. Being involved in a large number of projects, it was possible to equip the gymnasium with modern information technologies. Currently we have an interactive whiteboard, three projectors, 13 laptops, two photocopies, three color printers. All Teachers possess computers because we attended Intel Teach Course in 2015 (at this chapter we are the only ones in the district). Teachers are in step with all the changes taking place both in education, and in modernizing information technology. Use of ICT and modern methods of teaching-learning-evaluation motivates students to participate actively and with interest in the classes and extracurricular activities organized annually at local, regional, national and international level. Students participating in these activities, always get a prize. 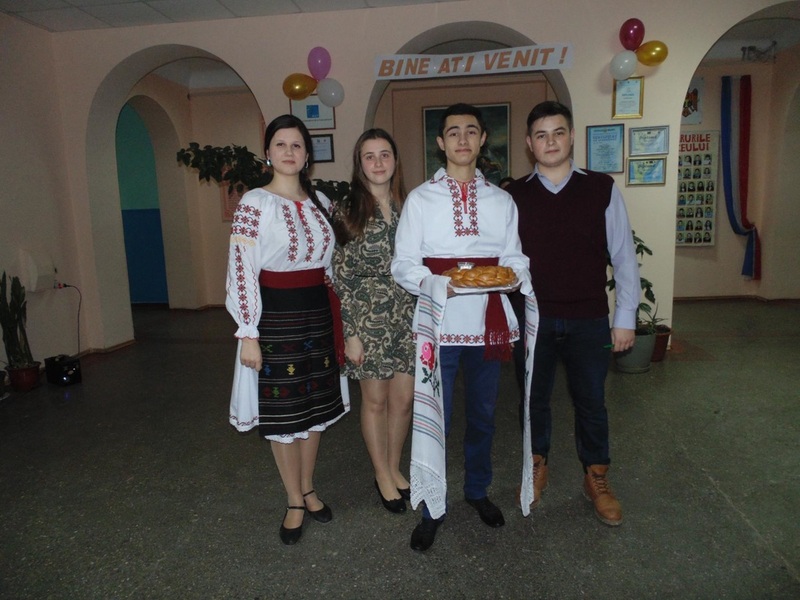 This year, for example, in the district contest ”Pupil of the year”, second place was won by Catalin Cheptea pupil in ninth grade, in the contest ” Inherited from ancestors”, journalism section was won by Mirela Şorunga, pupil in the 8-th grade. In parallel with the instructive activites, students are involved in extra-curricular activities: sports sections, circle ofdances and sports. Our gymnasium is currently involved in two educational projects: Involving men in combating child abuse (Terre des Homes) and my school. The major objective of these projects is the involvement of families in activities organized in the gymnasium. As an institution that wants to resist in time we have some strategies: continuous training of teachers, promoting the image of our gymnasium, improve school-parents relationship, learning how to use the modern information and communication technologies. Our gymnasium is named after the person who worked for 50 years as a teacher and 32 years as the headmaster of our gymnasium - Topal Varvara. Our major goal is to educate and prepare children for the future life. There are 36 highly qualified teachers in our institution. Our school motto is: “Live for teaching, learn to live”. In addition to academic courses, our school offers a wide variety of extra-curricular activities: sport sections, national dances and drawing clubs. 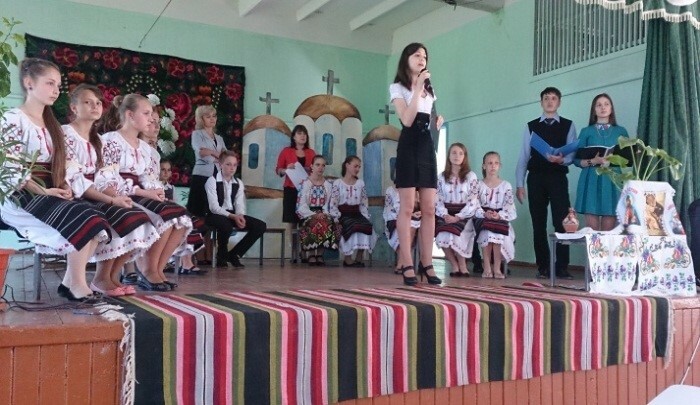 Our school is involved in different projects, such as IREX Moldova Citizen Participation Project (CPP) in Partnership with CIG “Svetlana Serova”. We have won a grant to implement a project about sanitation facility improvement, implement with the US European Command Humanitarian Assistance Project support. Theoretical Lyceum “Constantin Stere” is located in the Northern part of our country, in Soroca, a beautiful city on the bank of the Nistru river. Our school opened its doors for teachers and pupils in 1991, offering to all of them a wide variety of opportunities to build knowledge and values during 25 years of activity and success. During the school year, the 1201 pupils and 76 teachers are engaged in the daily educational process as well as different extracurricular activities, which help them to collaborate and build real-world life skills. The school has participated in numerous grant programs over the last three years that have offered our school the opportunity to grow and develop into a more modern and technologically advanced school community. Our institution is a modern and elite school, with a well-equipped and maintained building. Our school community has a spirit of belonging and integrity and many of our graduates have gone on to prestigious undergraduate institutions around the world. Dondusheni is a district in the north of our small but splendid by its nature Moldova. Located in this town, Theoretical Lyceum "Alexei Mateevici" - named in the honor of the writer Alexei Mateevici , is the only Romanian school in the area. Our students have access to a lot of facilities, such as: a gym, a stadium, a chess room, and the opportunity to get involved in a lot of extra curricular activities! Our lyceum comprises three stages of education : primary school (197 pupils ) , gymnasium (244 pupils ) and lyceum (74 students ). Total number of students is 515. Our main purpose is to educate students that will be prepared for every unexpected life turn and to keep in mind for a lifetime the value of the place from which they began their way in big life. 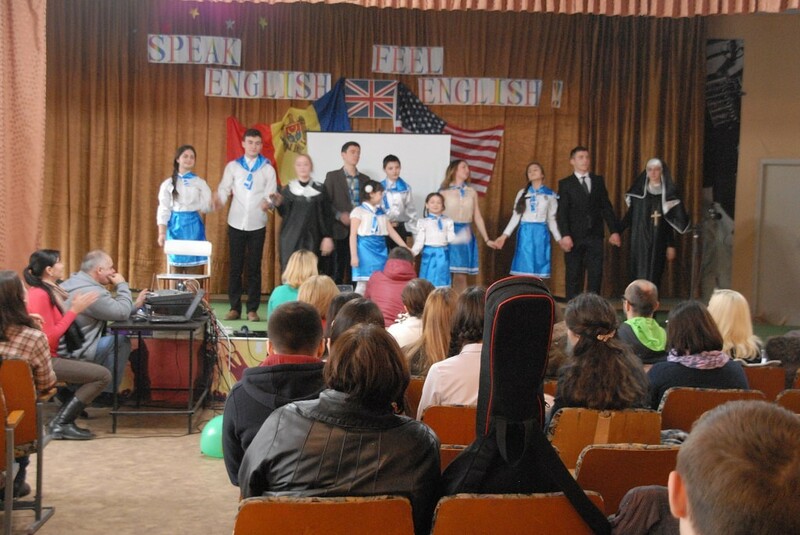 Our students participate in many national and international projects that bring the fame of our lyceum abroad . Many of them won the possibility to study in the USA due to FLEX exchange program. One of our students won the ErasmusPlus scholarship and is now studying in Latvia. We have active students that participate in local and national Olympiads with great results. Our lyceum collaborates with Peace Corp USA , ProDidactica and others national and international organisations. 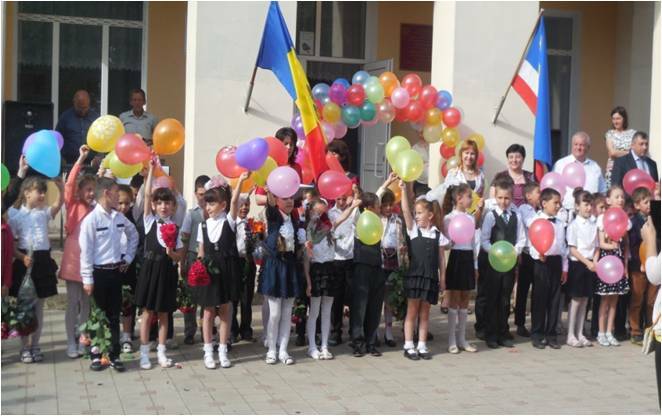 Our school is situated in a beautiful village in the centre of Moldova. It is called Public Institution Theoretic Lyceum “Prometeu”. The choice of the future educational and professional way. The aspiration for European integrity of the society. To create the conditions for adaptation to the life changeful conditions. All the children in our school have the possibility to read books in our big library, to use the computers and the internet, to participate in extracurricular activities, to practice sport. Our teachers are friendly and in the classrooms is a calm and beautiful atmosphere. 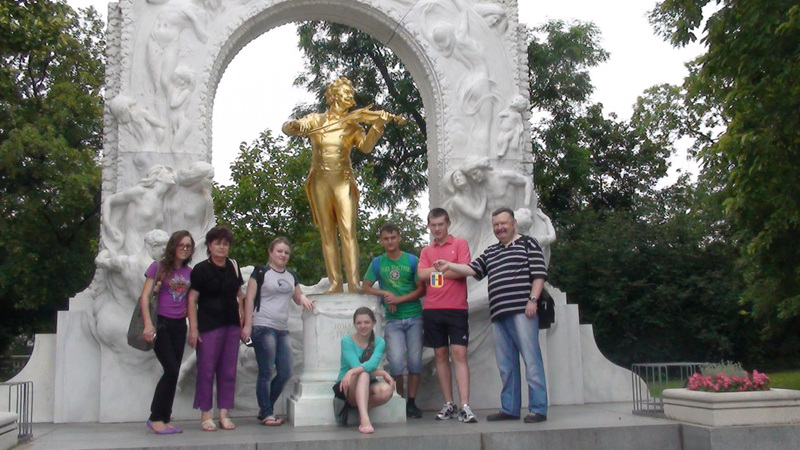 Ocnta is situated in the North of Moldova, and even if it is not very big, it has a lot of things to be proud of. 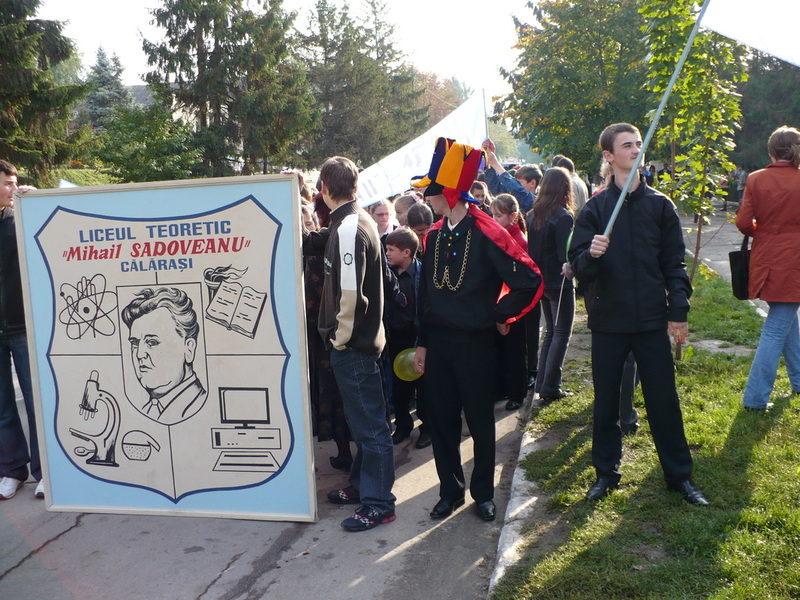 One of them is “Mihail Sadoveanu” High school. The institution was founded in 1991 and during its activity it proved to be the best in the district. It took first places in the majority of competitions from the district: school contests, sport competitions, cultural events. 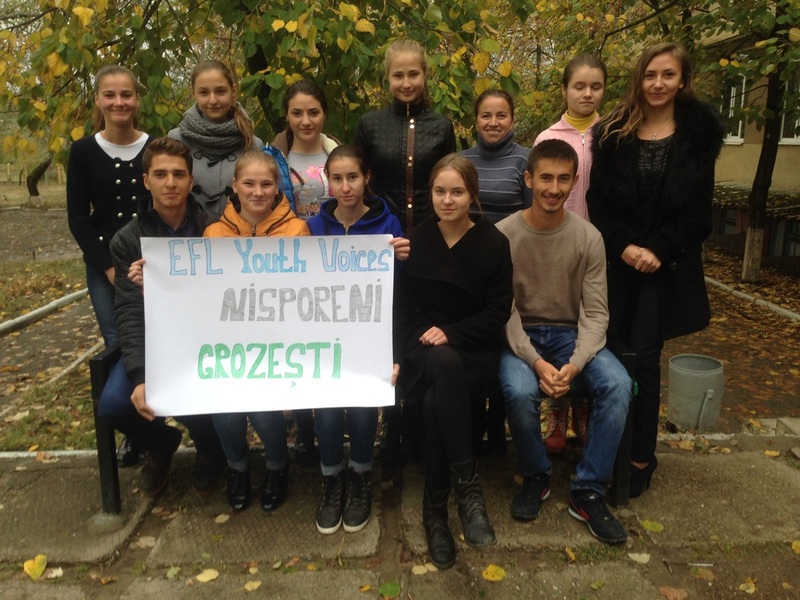 The institution collaborates with Sport School “Olimp”(Ocnita), local library, District Council (our students are members of Youth Council ), district youth newspaper “Stelele Nordului”(North Stars). Our institution participated in various international programs, such as “Modern laboratory”(interactive board) 2013 ( a district project in partnership with District Council , “Energetic Efficiency of public building TL M. Sadoveanu” 2013 (a national project on energetic efficiency , National Project „The equipment of schools with ICT” sponsored by Ministry of Education and Korea embassy (interactive board, projector, notebook) 2013, National Project „ The equipment of schools with multimedia classes” Soros (interactive board, projector, notebook , 20 tablets) , 2014 National Project „The equipment of schools with printers XEROX” 2015, National Project “Open Fun Football School “Cross Culture Project Association, 2015, National Project „The equipment of the schools with sets of robotics “ USAID, 08.2016 (8 robots), ”School timetable” Brent & Deeporn Beardsley Peace Corp Volunteers in MoldovaIn our school activate very skillful and talented teachers who are always opened to the changes which are predestinated to improve educational process. 34 teachers guide , train and educate 403 students who are divided into three stages of studies: Primary school (1-4 forms), Gymnasium (5-9 forms), Lyceum (10-12 forms). Our main goal is to improve educational activity of the High School by means of implementation of the most modern educational techniques in order to train and develop student’s personality and their integration in real life. 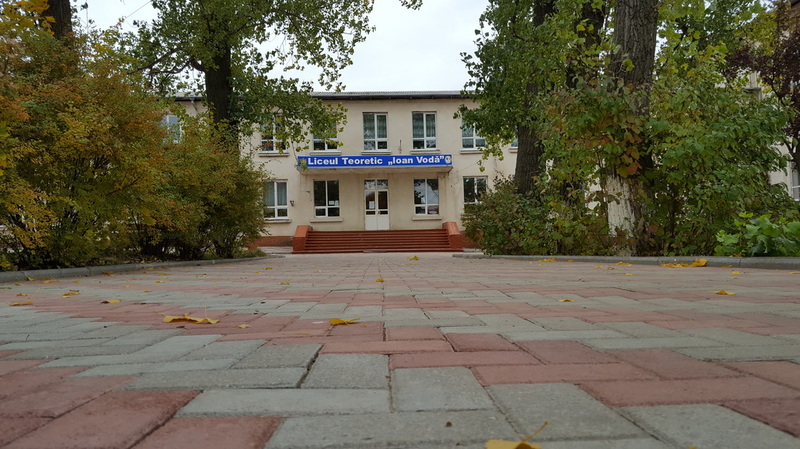 Theoretical Lyceum” Dmitrie Cantemir” is located in the Northern part of our country, in Ryshkany, a small, but beautiful town with many customs and traditions. The school comprises three stages of studies: Primary classes ( 275 students ), Gymnasium classes ( 278 students ), Lyceum classes ( 61 students ), a total number of 614 students. “Dmitrie Cantemir” Lyceum has participated in some grant programs, that have offered the opportunity to grow and develop into a more technologically advanced school community. Our lyceum aims to: encourage pupils to evaluate their own work and to set high standards for themselves; build children’s confidence and self-esteem by involving them in extracurricular activities; provide a safe, pleasant and stimulating school environment with utilization of pupil’s work. A good education should be the principal concern of any great society, as it will create future leaders, ensure a more intelligent workforce and help develop critical thinking to resolve that society’s future issues. 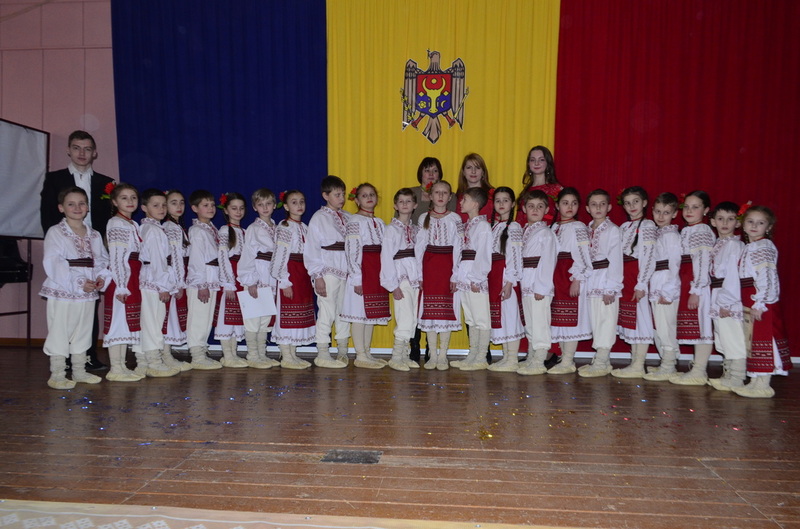 Our school is located in a beautiful town in the Centre of Moldova, having a lot of traditions. The school comprises three stages: Primary classes (461 students), Gymnasium classes (420 students), Lyceum classes (306 students). The total number of students is 1887. We collaborate with different lyceums from our town, district and country. Our students take part in a series of educational project like Ecological project promoting the protection of the environment. 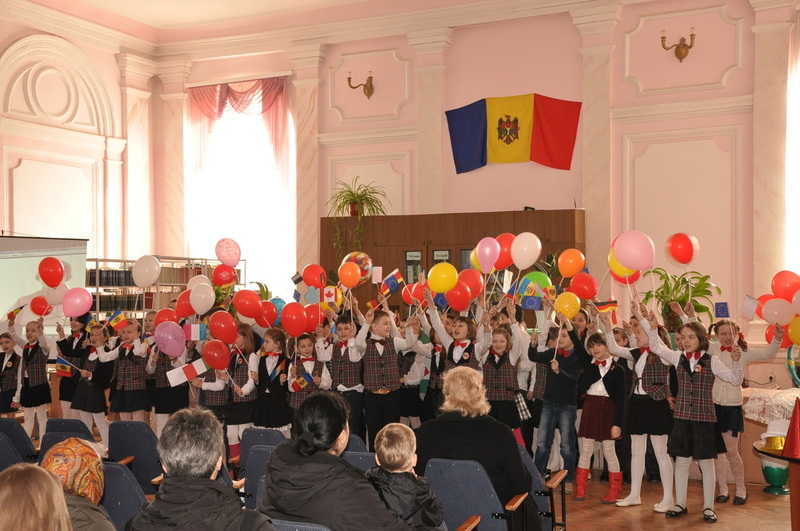 Other national project is called” My School”, another one is “Sources of Regenerable Energy in the Republic of Moldova”. Our lyceum takes part in various programs through partnerships and collaborations. The Centre of the Development of Youth Education, Pro Didactica, Alliance Française- French Cultural and Language Center, The Institute of Science of Education, The Institute of Development. Our students participate at different extracurricular activities as “Self Management Day” where they can try their abilities to be in the teachers’ role. Also we collaborate with international companies for improving the quality of education, so some classes have modern technologies and learning become much more interactive, visual and interesting. Our students create their own school magazine, where they write about school life, events, it appears once in a semester. The students are motivated, communicative and ready to learn something new. 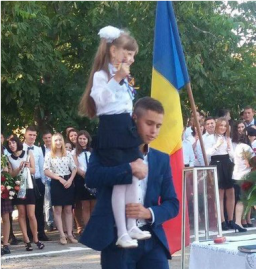 The educational system in the Republic of Moldova needs many improvements but we can’t deny the fact that school has a big role in creating personalities which could change the world. Even we can say that school is the pillar of our society’s evolution. 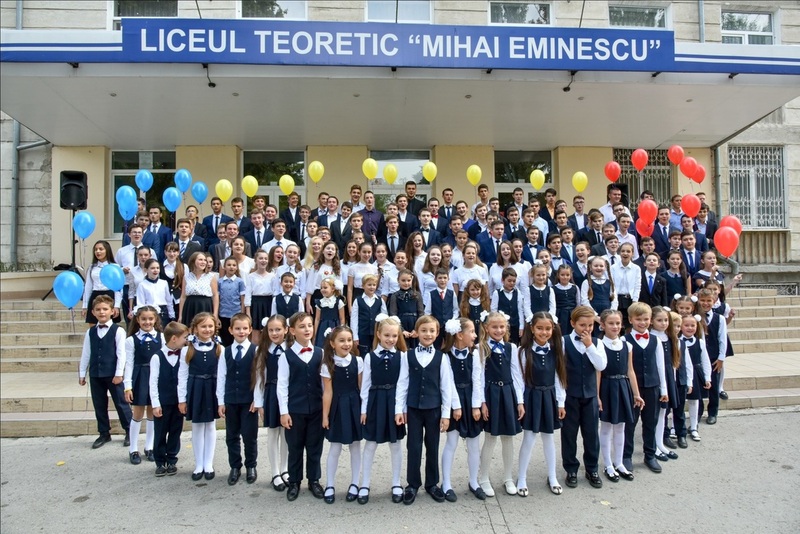 The principle of theoretical lyceum „Mihail Bârcă” is: “The education received in our school offers young people the opportunity of integration in an intelligent and an efficient way in a world that continues to change”. We are a young school, a school which is developing and rising up. The teachers are eager to obtain the highest level in achieving the educational performance due to the work they do. The pupils from our school are those who know what they want in their future life, they work alongside with teachers and that doesn’t finish with the end of the schooling period. 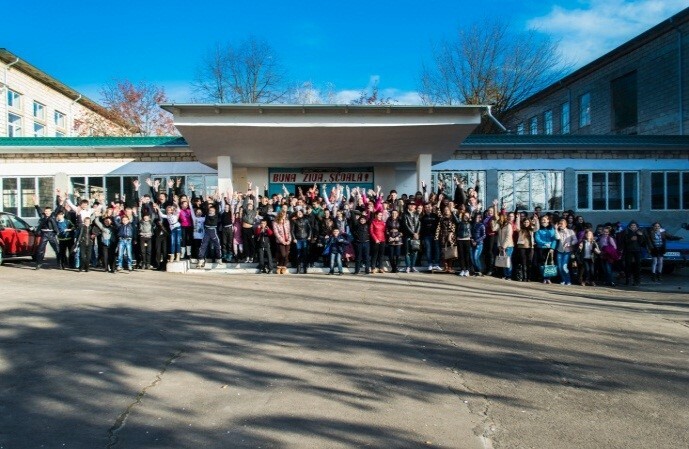 In our high-school there are 29 teachers and 350 pupils. The school works from 8.00- 14.00, all students learn in one shift, the classrooms are situated in two wings: wing A (the old one), wing B (the new one). The school has a gym, an open-air playground for physical education, a canteen and a park. The lyceum has its own traditions such as: Iarmarocul de toamnă (Autumn Fair), Ziua Liceului (The Day of the Lyceum), Serbările de Anul Nou și Crăciun (The Days Dedicated to New Year and Christmas), Dragobetele (the Romanian variant of Valentine’s Day celebrated on 24 of February), Adio clasele primare (Good-bye Elementary School), Adio drag Abecedar(Good-bye dear Abecedar) etc. 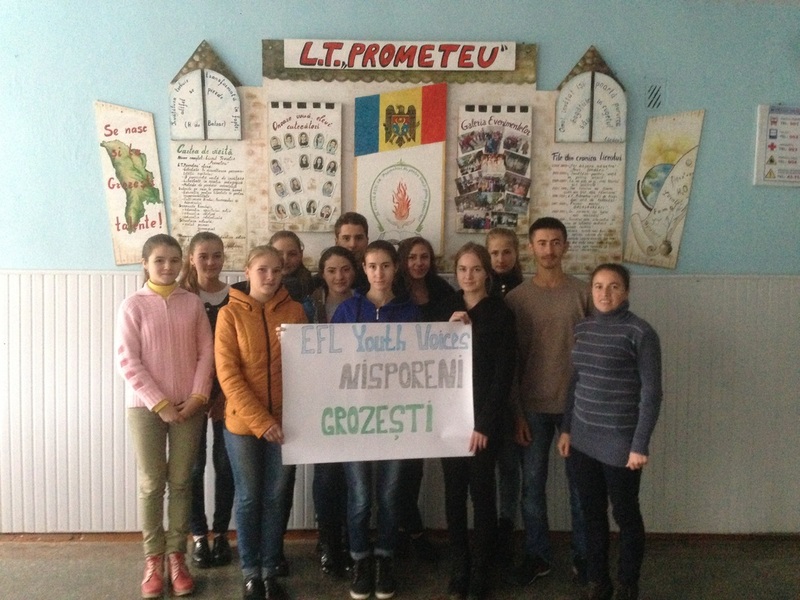 In our school activates The Pupils Council and initiative group “Forta” (“Strength”), due to these structures and due to the active participation of volunteers and due to the pupils needs and interests, they assure themselves a perfect environment for their professional and personal development. The activities done by our students are meant to inform, to motivate and to make them responsible. 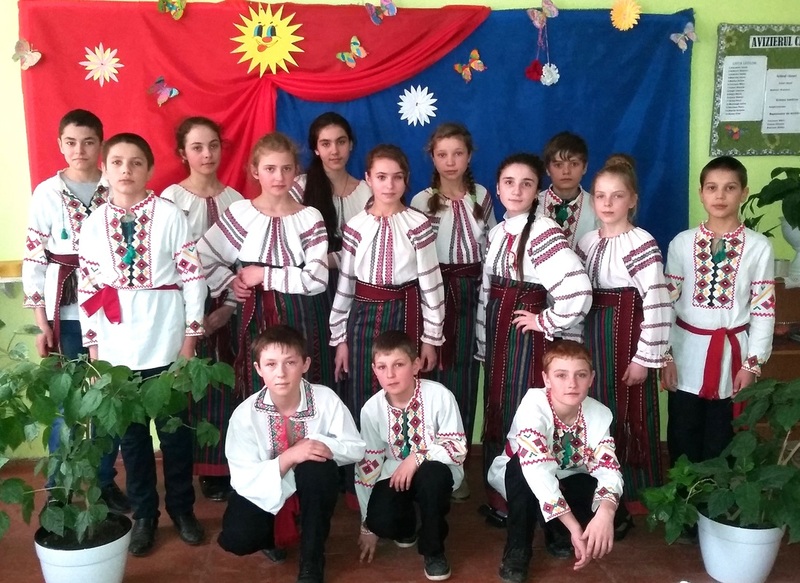 During the year 2016, in our school were implemented such projects as: „Incluziunea Digitală Rurală” (Rural Digital Inclusion) a project launched by the Moldova Orange Foundation; robotic packages LEGO MINDSTORMS EV3 of the lyceum in the framework of the competitive project USAID; the folklore team “Mostenitorii” – initiator of the folklore national traditions (a project released in the framework of the Youth Fond Ialoveni). 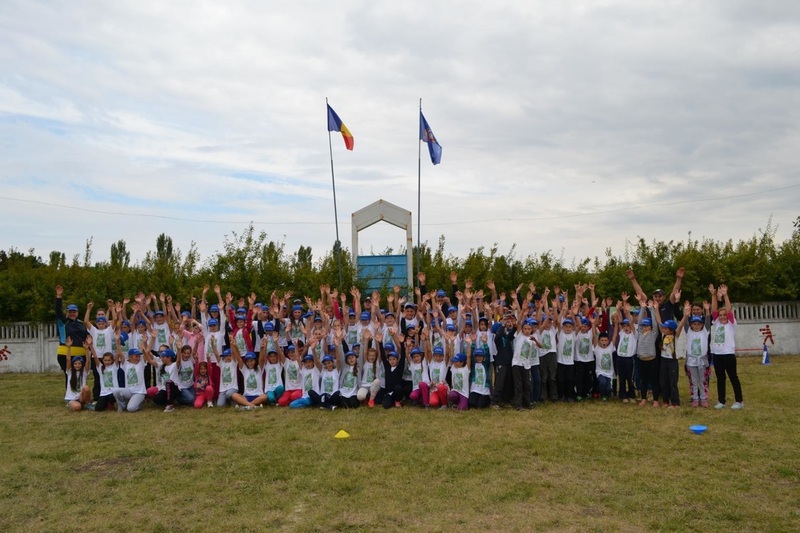 At the moment we are involved in the international project “North Caroline – Moldova” (supervised by The Academy of Inovation and Change through Education). Şoldaneşti is a district in the north-east of Moldova with hospitable people surrounded by beautiful and picturesque places. Our school is the oldest in the city and it is situated in the heart of our town. The school is comprised of three stages of study: primary, gymnasium and lyceum classes, with a total number of 463 students. Our students are involved in a lot of extra-curricular activities and participate actively in all local, regional, national, and international contests where they receive many awards and prizes. They are members of our local Youth-Regional Council where they address problems, such as violence, health, human rights, and environmental problems. They value the opportunity to participate in different activities that assist them in developing strong personal character. We collaborate with other schools from our country to establish a strong partnership between students for better development of the educational system. Our lyceum takes part in various programs through partnerships and collaboration .This year we started work with a volunteer from Peace Corps and we believe that that is a great advantage for us in order to build a strong partnership for cultural, educational, and personal exchange. Our main goal is to make our students realize their own potential and ensure their further integration into the general society. 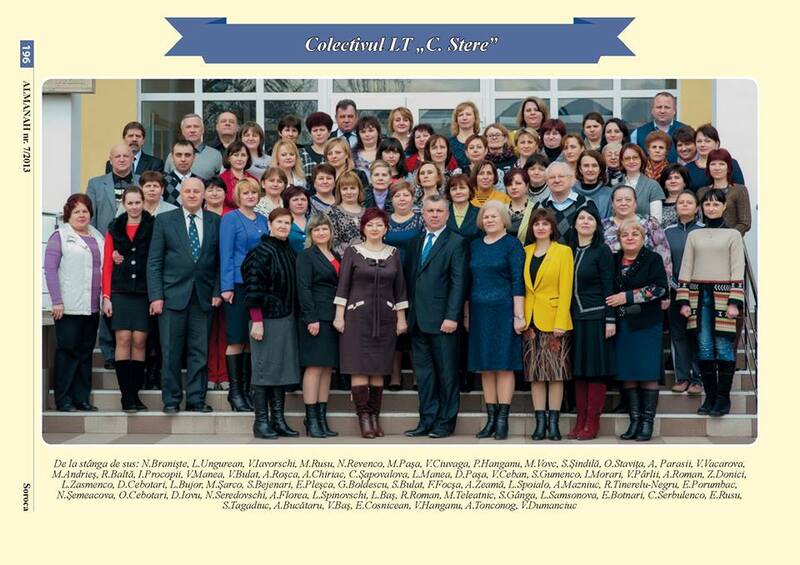 ​The history of the Theoretical Lyceum „Miron Costin” goes back to 1974. The lyceum has a gym and a stadium, an assembly hall, 29 classrooms, laboratories (chemistry, physics, biology), an IT classroom, handicraft classrooms, a library in school.There are 383 pupils in the lyceum.The lyceum leads a various activity that follows the aim to develop students’ abilities and opportunities. Every year our students get first places in different activities (contests, festivals, sport competitions).The pupils get values through various extra-curricular activities that are realized due to our skillful teachers. 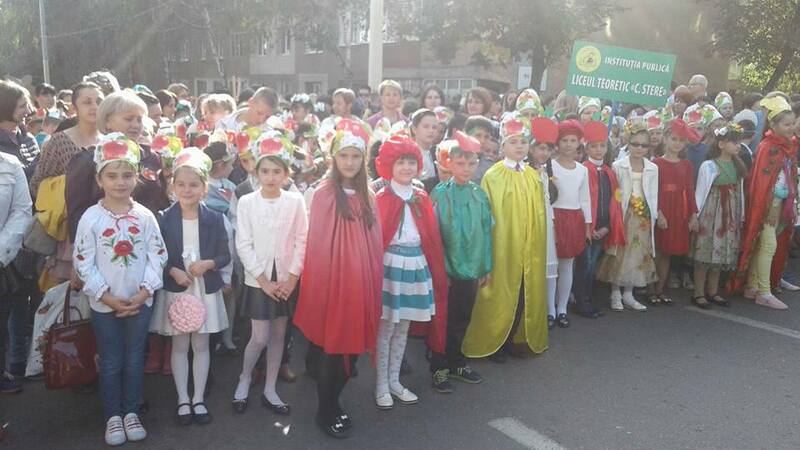 The traditions and customs of our lyceum are kept in order to grow in our pupils respect for our country, our culture and our life. 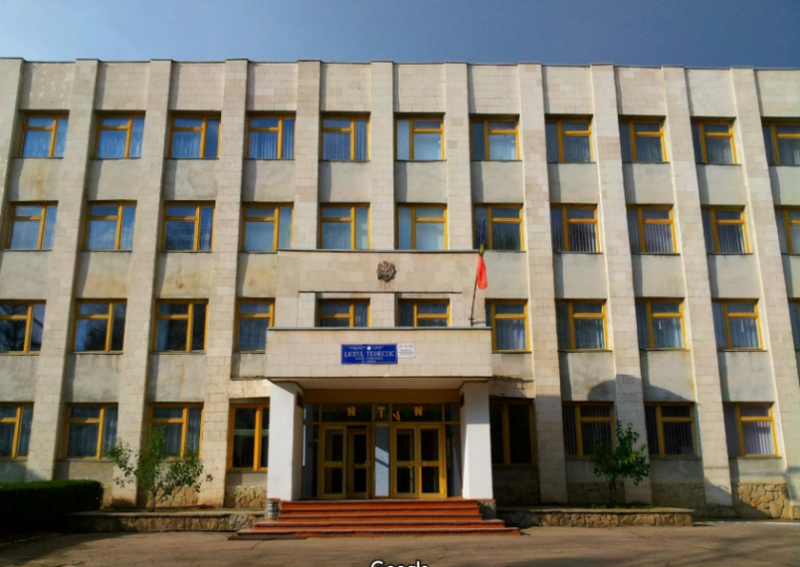 The first and oldest high school in southern Moldova and Cahul district was opened in 1913 as "Piotr Rumeantev", high school later called "Ion Voievod" and later a «Boarding School", which in fact was a high school, and 1990 received the status of pre-university institution, non-profit "Ioan Voda" High School, Cahul. “Our school has always promoted a positive, creative and sustainable personality of students. Teachers who inspire faith and trust in people and I see in their students good qualities but not defective ones. " Ioan Voda "High School is a universe in which you feel good when you're a kid, generations of students have entered and walked through the doors of this institution, remembering later with joy the things that they had learned here, many of them bring their kids here to study. Teachers receive e-mails, SMSs from different parts of the country and from abroad expressing their gratitude to their school and teachers. " Ioan Voda "High School is a small community with young, ambitious and sometimes slightly naïve people We do not know if it's luck but "Ioan Voda" High School students are particularly clever, talented, educated and responsible.” Larisa Munteanu, "Ioan Voda "High School ex-student. 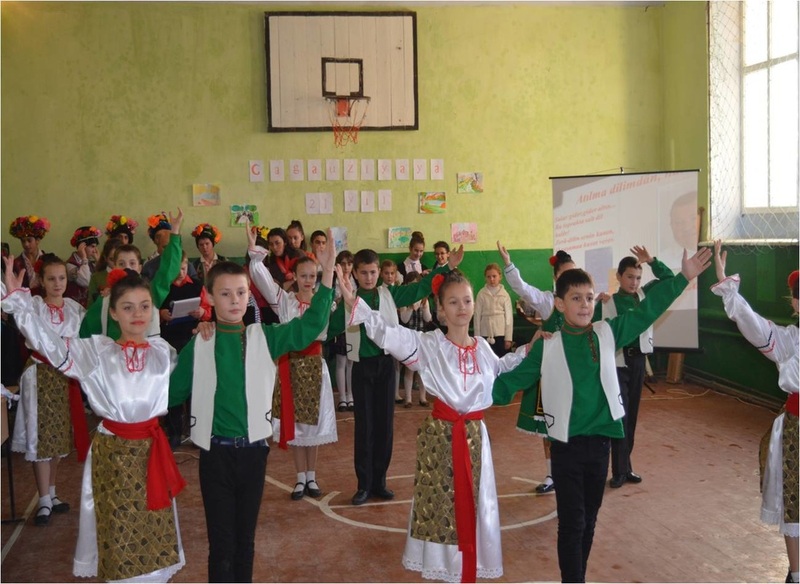 "Ioan Voda" High School is organized on democratic principles of respecting child's personality and collaboration. The institution has enough learning areas, human and material resources needed for the educational process. Students study on primary and secondary levels. The educational process takes place in two buildings. The High School has a school library, 6 foreign language learning rooms and each school subject has enough rooms in order to continue the educational process. 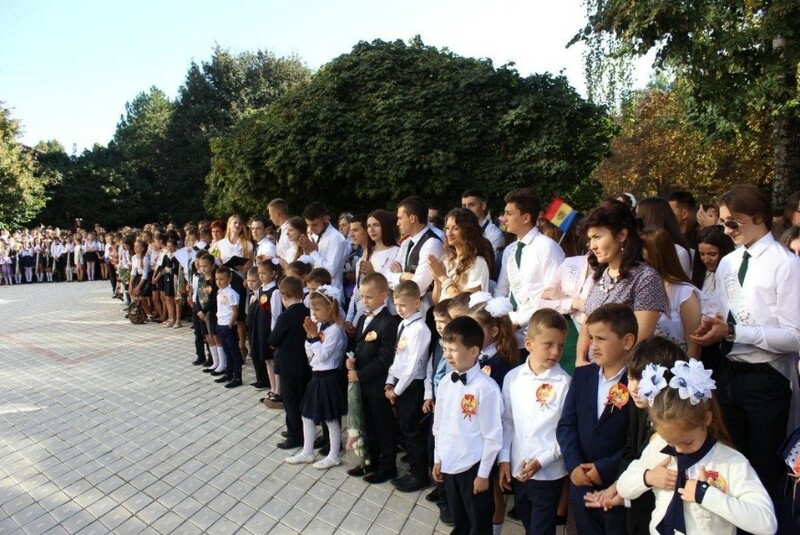 Since "Ioan Voda" High School was founded, the students study two foreign languages: ​​English and French as a Foreign Language 1 from the first grade and from the 5th grade English and French as their Foreign Language 2. 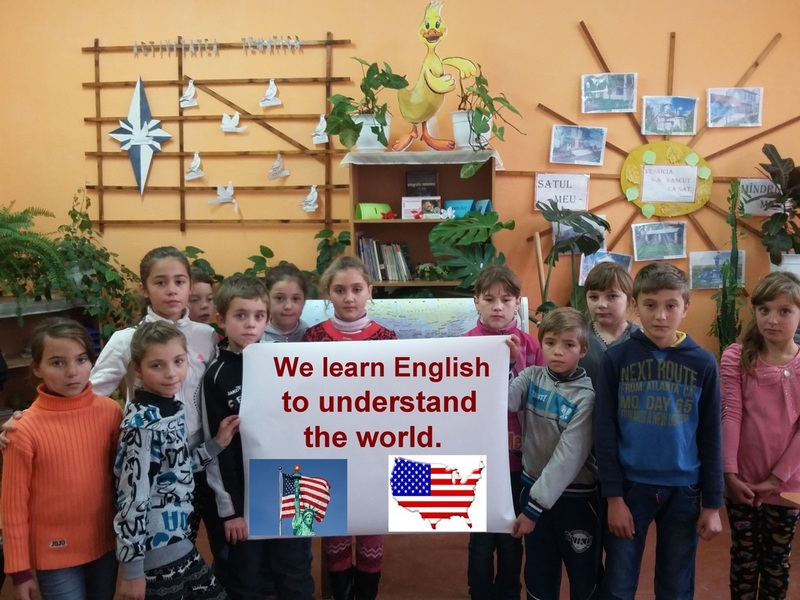 The students who study English as a Foreign Language 1 and Foreign Language 2 have always proved to their deep knowledge of English taking active part and getting the best results in various programs like FLEX, EXCEL, and festivals like SPEAK ENGLISH FEEL ENGLISH, competitions like ODISSEY OF THE MIND and district and republican Olympiads. Five English teachers work at "Ioan Voda "High School, they do their best to help students learn English at the proper level. 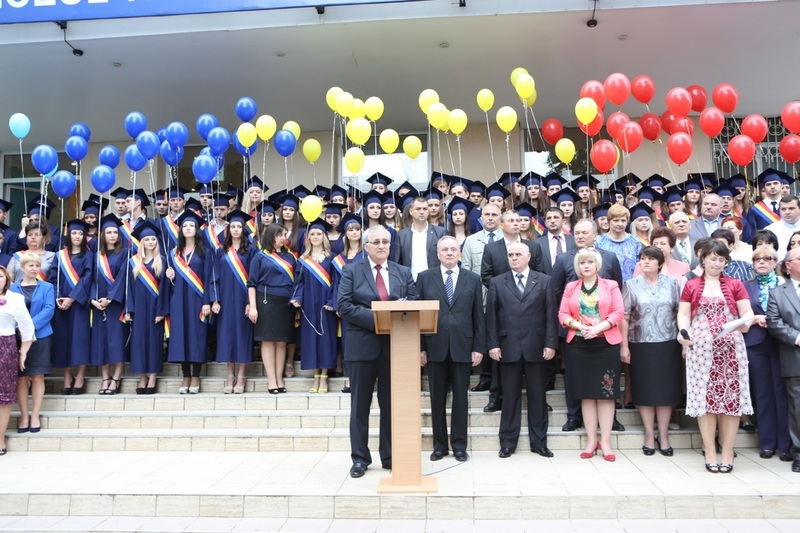 In recent years " Ioan Voda "High School students have passed successfully the examinations of English proficiency like TOEFL, CAMBRIDGE being set free from high school graduation exam (Baccalaureate) with maximum grade, 10, later becoming university students in the universities in Moldova and abroad. Administration and teachers are open to collaboration respecting fundamental requirements. The Board provides professional development training high school teachers; scientific and psychological skills development; studying teaching-learning-assessment practices, practical aspects of the education process; studying and applying of the effective ways of designing and organizing of the educational activity and optimal functioning of the educational process. The Board’s activities are focused on promoting participatory relationships of a permanent consultation and communication. School vision: By combining tradition with innovation and balanced continuity upward to form, a harmonious, creative, pragmatic and success oriented personality. Our Mission: focus on studying foreign languages, the use of computers and Internet simultaneously with a strong promotion of civic values, talents, literary, artistic and sporting abilities that constitute the specific targets of the school, in partnership with the local and international communities, NGOs in initiating educational projects. The mission of our institution is to ensure access, quality and relevance in achieving the educational process for the purpose to form an active, integral, creative personality , able to find its place in a changing society. We believe that it's time to adapt our educational approach so that to give our students an adequate education to allow them a good start in the competition called life, a fast and efficient adaptation to a changing society, such that the future may not take them by surprise. We create a friendly environment for our students, based on open communication among students, good collaboration between teachers, warmth and care towards students with an opening for the local community. 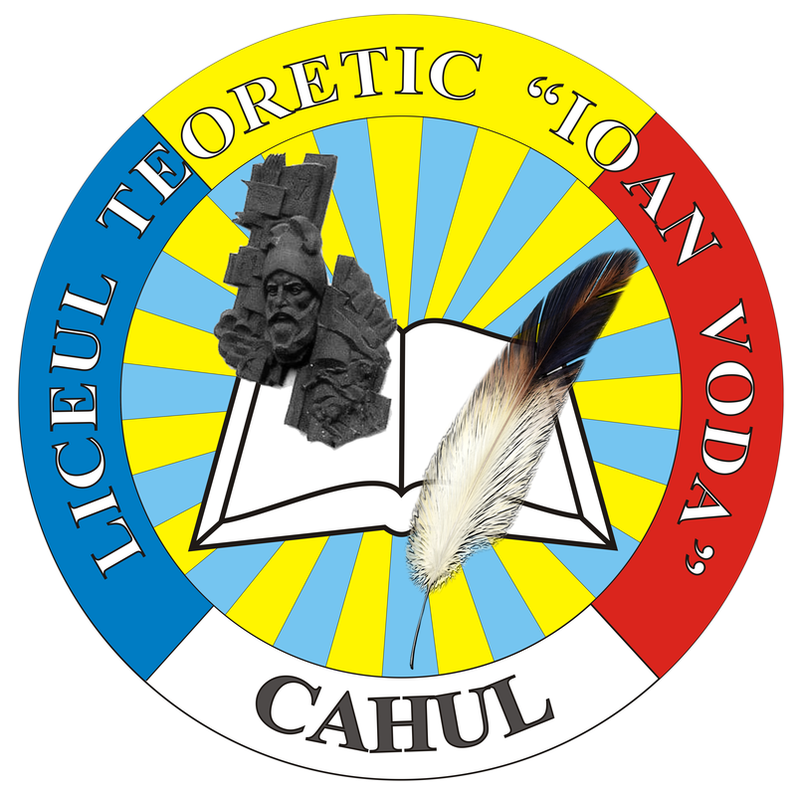 Founded in 2004, ”Ion Luca Caragiale” High School is currently the largest high school in district Orhei. We have 1168 students enrolled in bilingual classes and enjoy a strong reputation.We are open to local and international collaboration - we have 18 partners with whom we established partnership relations through various activities and projects. We implemented over 20 projects with external funding. We have a Student Council which monitors the safety and comfort of our students. We created the Parents Academy, which promotes an active involvement of our parents in school activities. We have our website and publish the school magazine. Țareuca is a little village situated at a distance of 97 km from the capital city. The school comprises two stages of studies: primary classes (46 students), gymnasium classes (96 students), a total number of 142 students. Students learning in our school are engaged in a lot of extracurricular activities, and manage to combine them with the learning process. We employ 16 highly qualified teachers. Our school is involved in different projects. We have won a grant from United Nations Development Programme which aims to install biomass heating in our school. Our main goal is to make our students realize their own potential and ensure their further integration into the society. The Public Institution “Mihai Eminescu” Theoretical Lyceum was established in 1992. It was in the year when the Government of Moldova published the Disposal nr. 211-p from 05.09.1992 according to which the first Lyceum in our county was opened. From that time on, Lyceum is located in the building of the former County Committee of Communist Party of the Republic of Moldova. In 1995 it was named “Mihai Eminescu,” a tribute paid to our national poet. In 2005 the Lyceum passed the accreditation process as a result it became the first institution accredited in our county. After almost 25 years of activity, our institution turns out to be a complex one including following facilities: classes for Physics, Chemistry, Biology, Romanian, English, French, History, Geography, Informatics, Mathematics, a library; a hall with 250 seats, a large over 80 person’s hostel, a sport ground and a large canteen for students. Lyceum teaching staff is composed of 19 qualified experienced teachers. Our lyceum students are the ones who finished gymnasium level and wish to continue their higher education. We have only 10th, 11th and 12th forms, these students are 16 - 19 years old. They come from different gymnasiums of our town, our county and neighborhood counties. 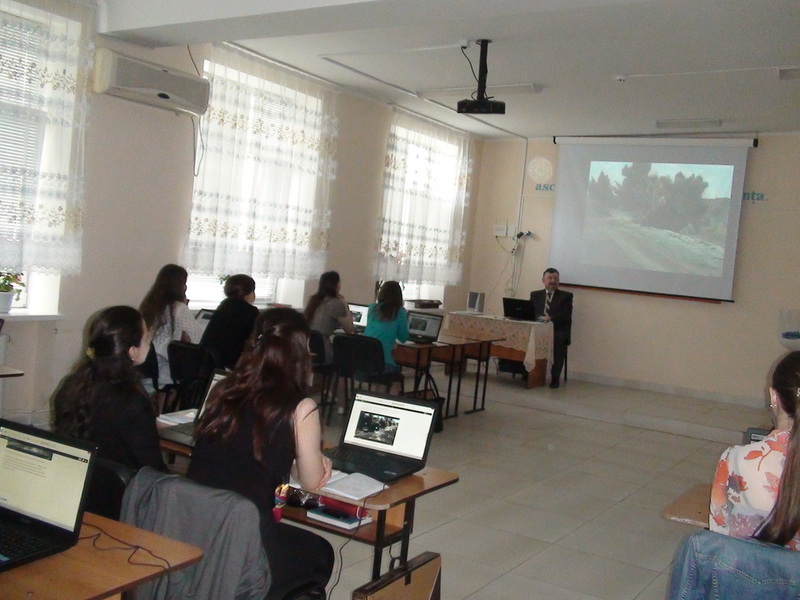 Nowadays we have 210 students at “Mihai Eminescu” Lyceum. At “Mihai Eminescu” Lyceum students are divided into two fields: realists and humanists. As a rule, all students have to study 2 foreign languages and only realists study 1 language; it can be either French or English. Today, only one form and that is 11th form are of realists studies. This means that, over 200 students have English as a first or second foreign language. 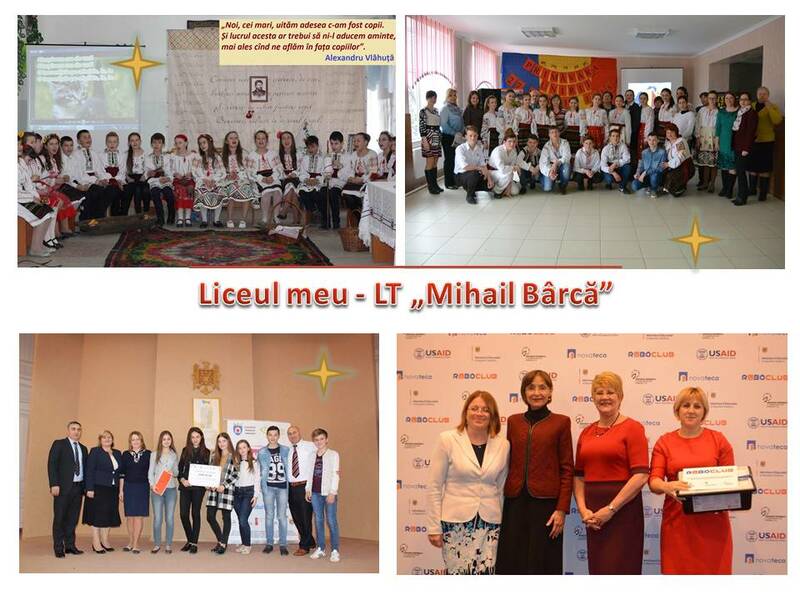 Our “Mihai Eminescu” Lyceum is on top list of the best lyceums of our county, according to BAC (Baccalaureate Exams) results. Every year there are national competitions at which our students win leading places in Physics, Chemistry and of course English. Beside compulsory subjects at our lyceum there are several optional courses and among them, this year, are “English Language Translation Theory and Practice,” “Reading and Communication” and they are hold in English. During these courses, students speak, read, write and translate from and into English. Students are so excited about new things and activities and they are kept in extracurricular activities as well as volunteering, national and international projects. This project will open for them new horizons for enriching their vocabulary, practicing language, exchanging information and acquiring new abilities for life, enlarging personal view. We all will be very glad to learn more about American culture, practice English and of course get to know other features of American people. 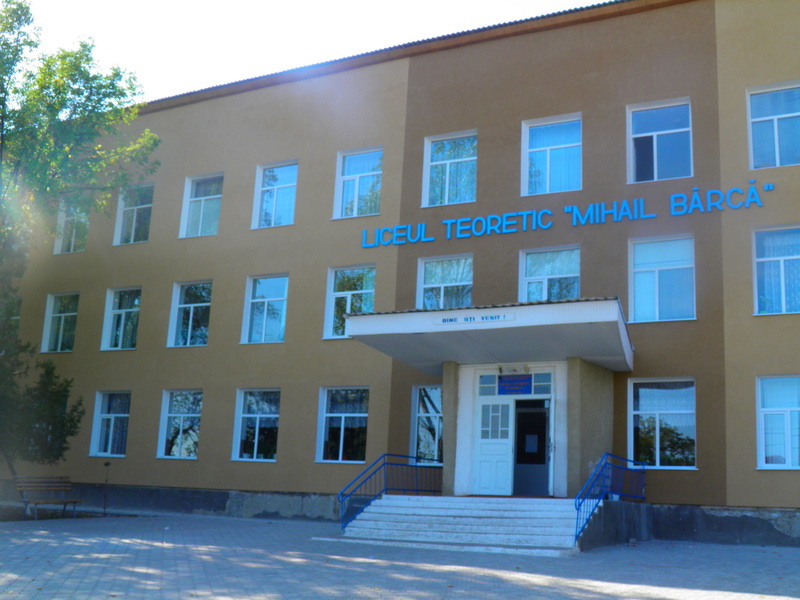 Mihai Eminescu Theoretical Lyceum is the biggest school in Leova Distict. It has an area of 7000 square feet with the large classrooms, halls, gym, canteen, festivities hall and sports grounds. We have a reach history of events and activities. As confirmation our graduates work in different domains in the country and abroad. We are proud having good graduates: doctors, lowers, economists, actors, teachers and members of the Parliament, etc. The historical data shows us that our school was established in 1895 with two forms where 95 students studied. In 1927 here studied 101 students taught by five teachers. 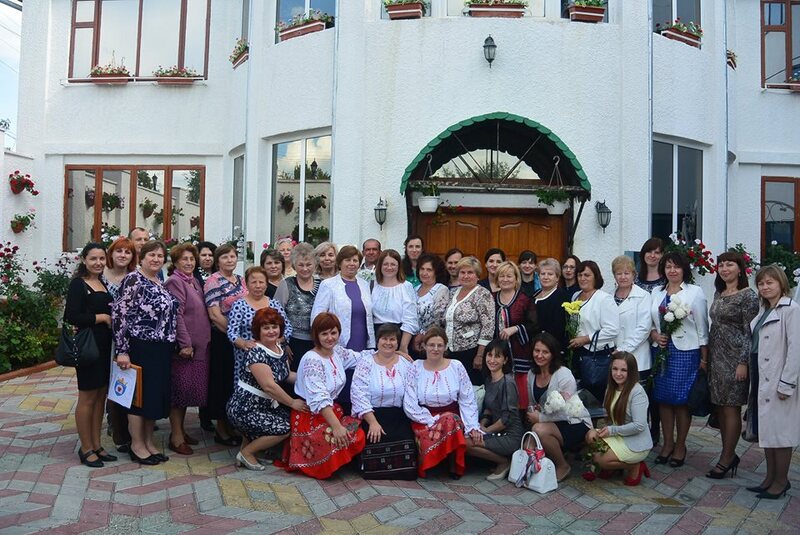 In 1948 the school was named The Middle Moldovan School and the teaching staff included twenty teachers. Later the school was called The General Moldovan School that was reorganized in Theoretical Lyceum. We have our own anthem, composed by B. Patrascu, a teacher of music. This school year our students are guided, on this land of knowledge, by 41 teachers of the primary and the course of secondary education, subdivided into two stages: gymnasium and lyceum, who hold the thirst ( 2 teachers ) and second teaching degrees. Besides the curricula in our school are organized extra-curricula and out of school activities where a lot of students, interested in different areas, are involved in. We have sports sections: volleyball, basketball, table tennis, chess. Also we have Drama, Declamatory, Music, Dance courses. Our students have won different local and national contests and sport competitions. 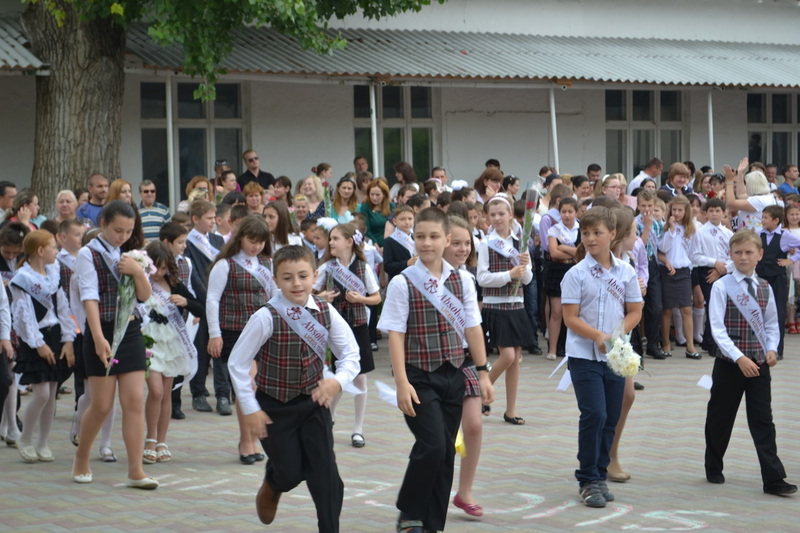 Being a very big school with a rich past we have our own traditions and festivities, such as: Autumn Fair, School Day, The Meeting with alumni, Fresher Ball, The Teacher s Day, in autumn it is open the sport season. Every month are organized extra-curricula activities on different subjects: foreign languages, Romanian language, mathematics etc. We are very proud working in this school with experienced, devoted, friendly teachers. Educational institutions are the true seats of learning. The students, who are really anxious to learn, can develop healthy habits only in the schools. In a school pupils learn how to move in society, how to behave with others and how to progress in life. You can find our little school in a beautiful village called Peticeni, which is situated in a wonderful atmosphere surrounded by forests. There are 119 pupils in the gymnasium. Every week the pupils are involved in various extra-curricular activities which are organized by our skillful , devoted and experienced teachers. Our main goal is to focus on studying foreign languages and to improve educational activity of our school by means of implementation of the most modern educational techniques.